This run was surprisingly fun in my mind. The upper section of the run had many rapids all right up on each other to provide very frequent thrills. However there are two drawbacks to the run, there are significant dangers of undercuts and secondly the stretch only runs above fish flows one weekend a month for five months throughout the summer. 2014 Update: Dang, I know my writing is bad, but looking back at these quick write-ups from 2005 I know see why my mother is embarrassed by this website. So, one of the only saving graces to this record low water spring has been several weekend releases on the North Feather including Cresta. The last time I boated this section was the last AW summer release... 8.5 years ago. So needless to say when I heard that Cresta would be running on a weekend when literally nothing other than the South Fork American would have water, I made my plans and headed North. The run was better than I remembered it being. I remembered the handful of standoout rapids, Put-in, County Line, and Cow Catcher but I did not remember that there were several fun in between rapids. One or two with good holes to miss (or boof). The other thing that surprised me was how far downstream the hazard in Cow Catcher was. I remembered thinking it was very much in play. In reality if you run the right line to enter and exit, the current would likely not take you that way. Regardless, you would have 5 or 6 roll attempts before you even make your way that far down river. So It is not as hazardous as I thought 8.5 years ago. Additionally, the rest of the run... though perhaps sievier than say the North Fork American, is really no more sievy that Lobin or any other granite bouldar river. So, I apoligize if 1) you tried to read the write up and couldn't understand it and 2) If you understood it and got scared due to my old impressions. Also, thanks to James Schubert for his contribution of pics. Cresta Dam (IV+). If you are willing to walk a quarter mile or so, there is a great rapid at the put in, just upstream of the easier access. It begins immediately at the base of the dam and consists of three main moves. In my mind if this is your warm up it verges on V-, but if it your second lap, it is much more class IV. The entrance is to be on the right, on the shore. The first main feature is a hole about 20 feet after the entrance. We shot into the right of the hole. Immediately start to work left, at 1000 cfs wasn’t as hard as we thought it would be. Go over the rooster tail into the second hole, beware of the eddies on the right shore tended to grab people a little. Finally set up for the final drop which can be run anywhere. Second Set (III). 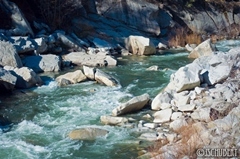 The second set of rapids occurs on the corner downstream of the put in. The first is a simple hole (class II) which is good for play. 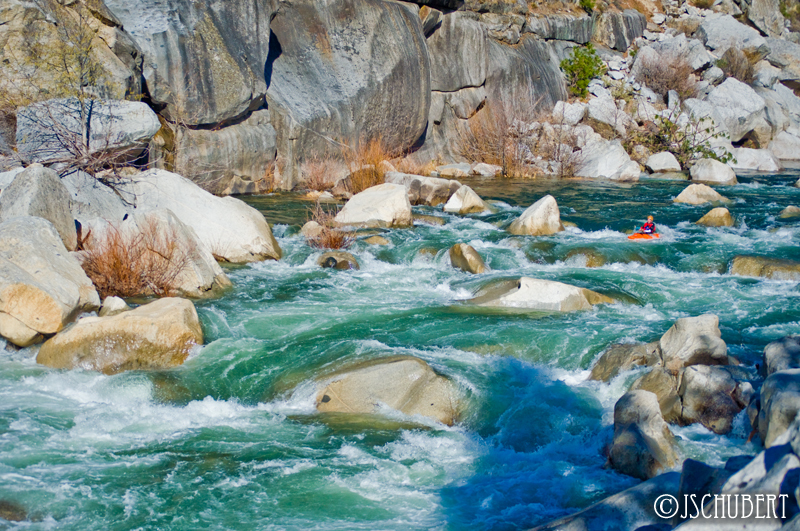 About one hundred feet downriver a larger rapid starts which requires some rock dodging. We entered center and moved right. County Line Hole (IV). The rapid consists of a class II+ entrance into a large hole. The best line is to enter on the right side, there will be a submerged rock just after the entrance, go right of this and line up for the final drop. On the right side of the drop there is a second tier to the drop with a ramp boof, this is the easiest way to clear the hole. Not getting right enough will melt you into the hole. Our day no one got worked in the hole even though there were a few less than ideal lines. Unnamed (IV). 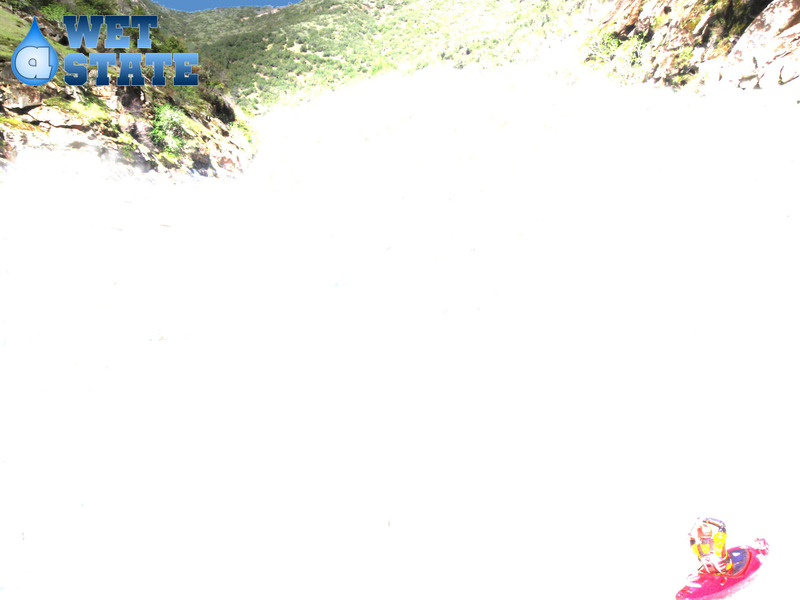 In my mind this was the most fun rapid on the run, it also had the most carnage our day. It had a class II entrance, we took it down the middle, half way into the entrance there is a right to left sub channel, this sets you up for the first crux. 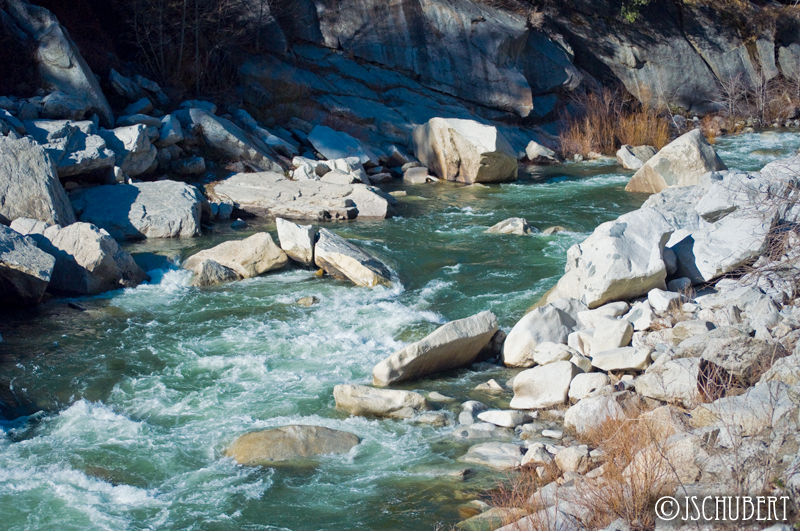 There are two waves/holes offset right/left and upstream/downstream by a few feet. Backing these holes up is a ledge hole. I ran the right edge of the first wave into the left edge of the second wave and straight over the drop. The hole is large, a boat got surfed with and without its paddler still in it. Below this the channel goes tamely into a house size rock, there are small holes and shallow rocks in this, go left around it. This will set you up for the finally of it which consists of a large hole back by a small hole. The small hole however surfed many people and swam a few as well. The left side of it flushes, everywhere else is retentive, but no worries, every swimmer came right on out. The rapids ease from here until the end, there is a take out at mile two at a PG&E pull out. 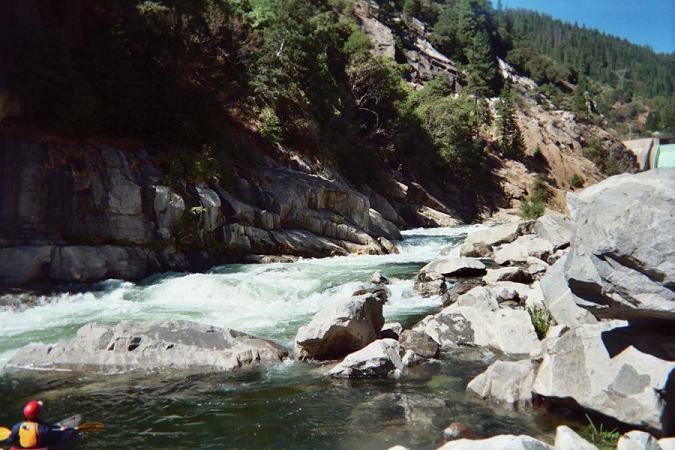 If going on further is your desire, there are many class II rapids ahead and maybe one class III- boof move. Powerhouse (IV). A rocky jumble with many doable paths is made more difficult because many involve skirting sieves or undercuts. 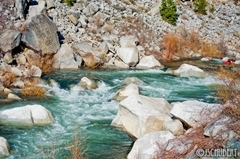 The entrance is about fifty feet up river, a fun Boof on river right, and a fun slide on the left of a large rock. 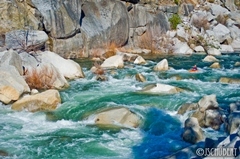 Below, in the actual rapid, the best line is on the right shore for the entrance and a move to the left to avoid the rocks below. Take out: The take out was located just a little up Highway 70 from Poe Reservoir. It is located on the left and is a dirt road that leads down to the river. Put in: The put in is located just before the turnout which is just in front of the tunnel where the damn was built into. There is no parking room however, so American whitewater runs a shuttle for $5 from the take out.